The Ulysses S. Grant National Historic Site is a United States National Historic Site 10 miles southwest of downtown St Louis Missouri. Set on a 9.65-acre estate within the region of Grantwood Village, the historic site, which is also known as White Haven, celebrates and honors the life and military career of President Ulysses S. Grant. The site features five landmark structures, including the Grant Home known as White Haven, where Ulysses S. Grant and his wife, Julia Dent resided with an enslaved African-American workforce from 1854 to 1859, Market House, and Washburne House. The site is also home to a visitor center and a museum, where an introductory film on the estate is shown, and interpretive tours are available daily. The historic sites are open to the public year-round and offer guided tours of the restored home and outbuildings and the beautifully manicured grounds. 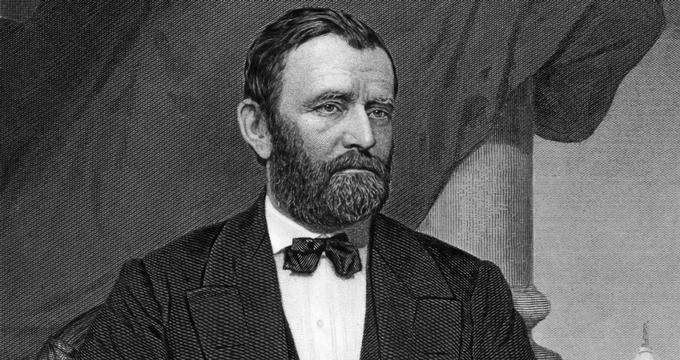 Born Hiram Ulysses Grant in 1822, Ulysses S. Grant lived a life of service from civil rights champion and Civil War hero to best-selling author and two-term President of the United States. Grant came to Missouri in 1843 with the 4th Infantry at Jefferson Barracks, and on visiting his friend, Frederick Dent’s family farm, he fell in love with Dent’s sister, Julia. After serving with distinction in the Mexican-American War, Grant returned to Missouri and the farm, which was known as White Haven, to ask for Julia’s hand in marriage. Throughout their lives together, White Haven was a central point for Ulysses and Julia, and they considered it their family home. Even though political and financial circumstances forced them to leave the farm for over a decade, Grant was planning on retiring to the farm to live his days out in peace following his second term as president. However, failed business deals and family interests led him to give up the property shortly before his death in 1885. Today, the magnificent estate and outbuildings are open to the public to enjoy the beauty, the peace and the serenity that Grant was looking forward to in his retirement. Home to prominent Galena attorney and later a U.S. congressman and political adviser to Abraham Lincoln and Ulysses S. Grant, the Elihu B. Washburne House was constructed in 1843 in the famous Greek Revival style and later enlarged to its present size. The Washburne House was owned by Elihu Washburne until 1882 until it was purchased by the Sheehan family, who held the house until 1968, and later the State of Illinois. Today, the Washburne House forms part of the Ulysses S. Grant National Historic Site, is managed by the Illinois Historic Preservation Agency, and is open for the public to explore. Constructed in 1845-1846 in the Greek Revival style, The Old Market House was the focal point of community life during Galena's heyday and sheltered vendors and shoppers, who gathered in the heart of the river city's business district until 1910. The Old Market House was beautifully restored to its former glory in 1955 and today is managed by the Illinois Historic Preservation Agency and hosts a variety of changing exhibits and special events. The U.S. Grant Historic Site offers a variety of educational and community outreach programs for visitors of all ages, including adult’s classes, activities for children and families, Junior Ranger and Junior Ranger Archeology Program, Summer History Programs for Children, and guided tours of the site and it’s outbuildings. The U.S. Grant Historic Site is located at 7400 Grant Road in St. Louis and is open year-round to the public on a daily basis from 9:00 am to 5: 00 pm. Free interpretive visits to the Main House are offered every hour or half-hour, beginning at 9:30 am. Guided tours of the Ulysses and Julia’s restored home, outbuildings, and stables can also be enjoyed, and visitors can learn more about the life and career of Ulysses Grant and the impact it had on American history. There is a paved eight-mile bike and footpath known as Grant’s Trail next to the U.S. Grant Historic Site, which visitors are welcome to use.